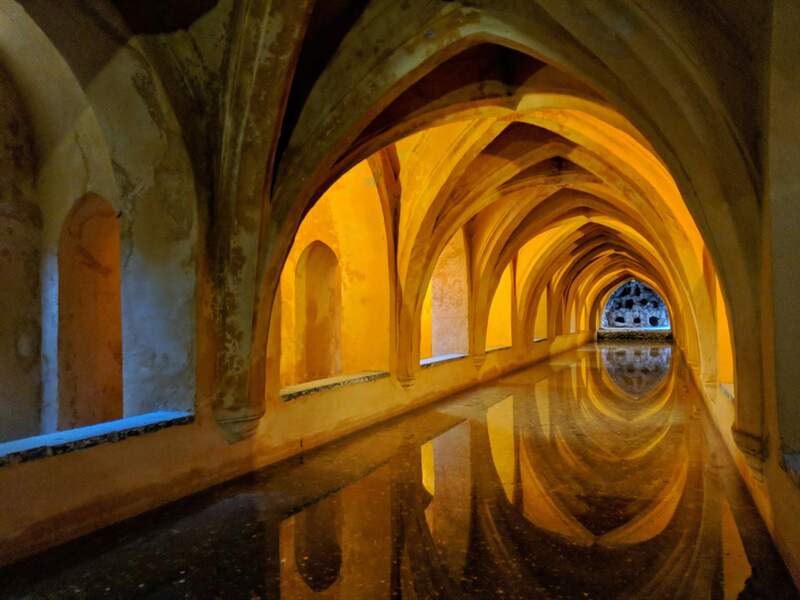 My parents have always wanted to visit Seville and Granada, they nagged and nagged me for years to plan a trip with them to go. Honestly if it wasn’t for them I don’t think we would have gone, but it was much more interesting than I expected! (I say this a lot…) I was fairly ignorant about this area until I started planning. I had no idea the area was “Moorish Central” (my term) for Spain, the architecture was unlike anything I’ve seen before. For the four of us, it was cheaper to rent a car than to take the train. It also saved a bit of time. That said, driving in Spain is not for the faint-hearted — city roads are narrow, and parking lots are TINY. My dad who drives often in Hong Kong was surprised by how much narrower everything was even compared to HK! 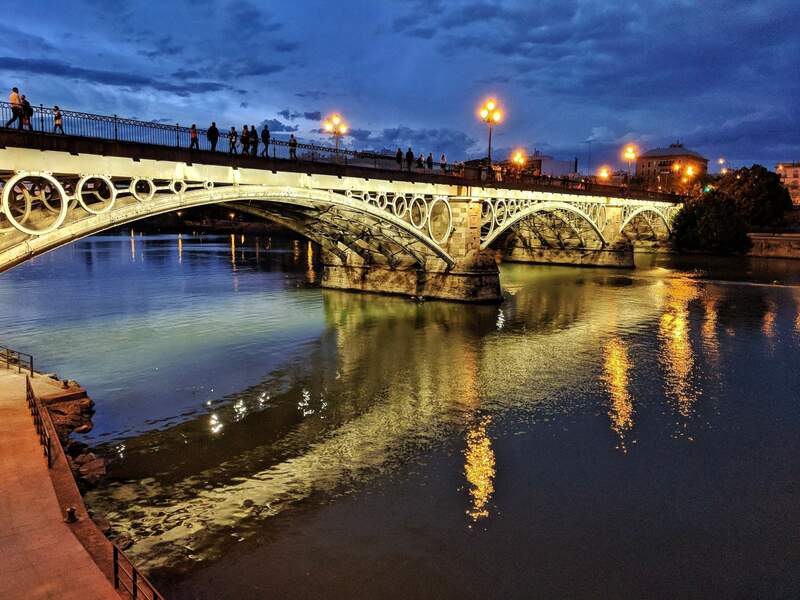 Protip: book your tickets early online for all the tourist sites, this lets you bypass the ridiculously long lines at Seville, Granada, and the museums in Madrid. I don’t know why the ticketing system is that way, but I was glad we never had to wait in a long line because I pre-purchased all the tickets. The lines were *ridiculous*. I actually had to book my tickets for Alhambra months in advance. 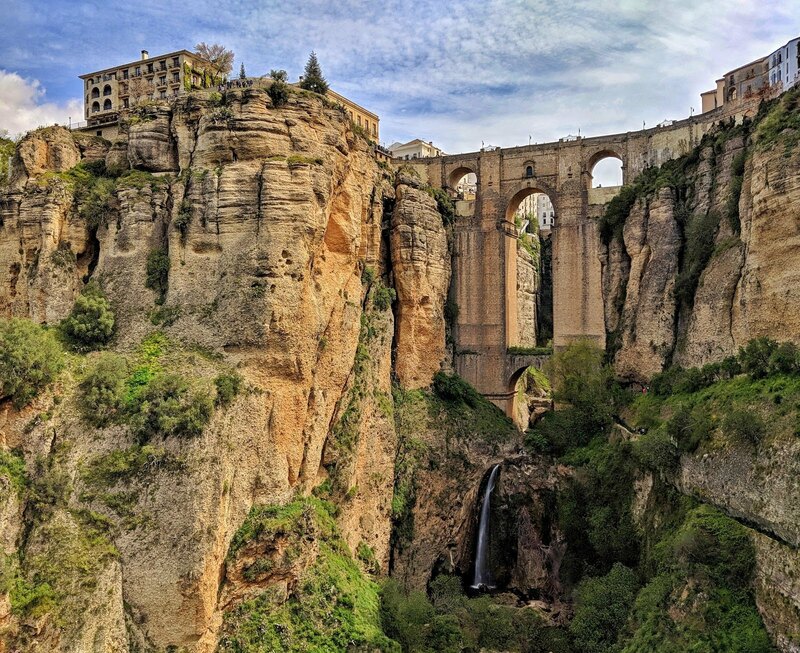 We started our trip by me dragging K to Ronda to see this bridge and the white hill towns. We then picked up my parents at Seville airport and spent the next few days sightseeing. 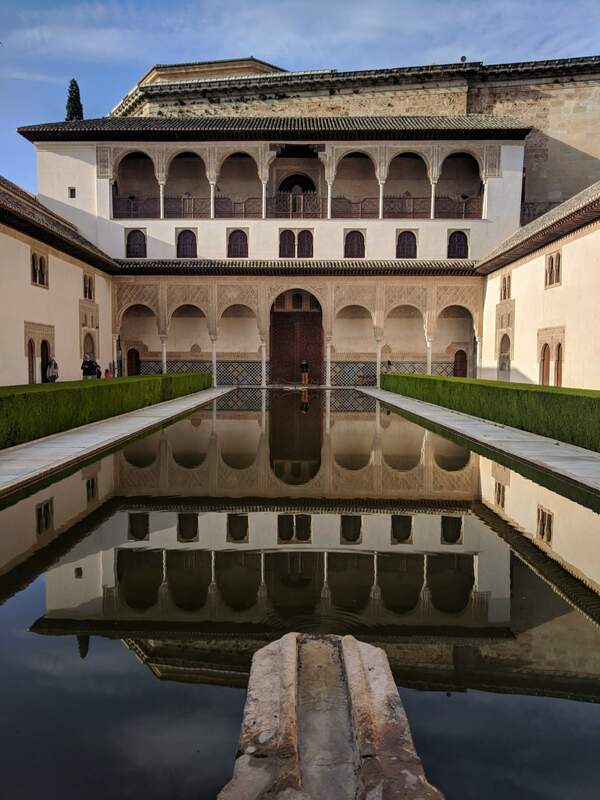 The whole city was beautiful to walk around, and my favorite tourist site was the Real Alcazar. The food was *amazing*, if I’m un-lazy I’ll write about that soon. 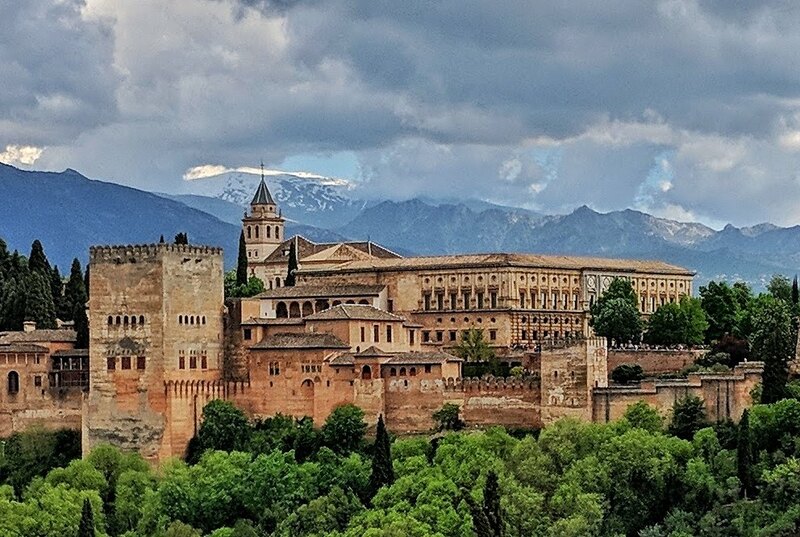 We drove to Granada next, to see the famous Alhambra. 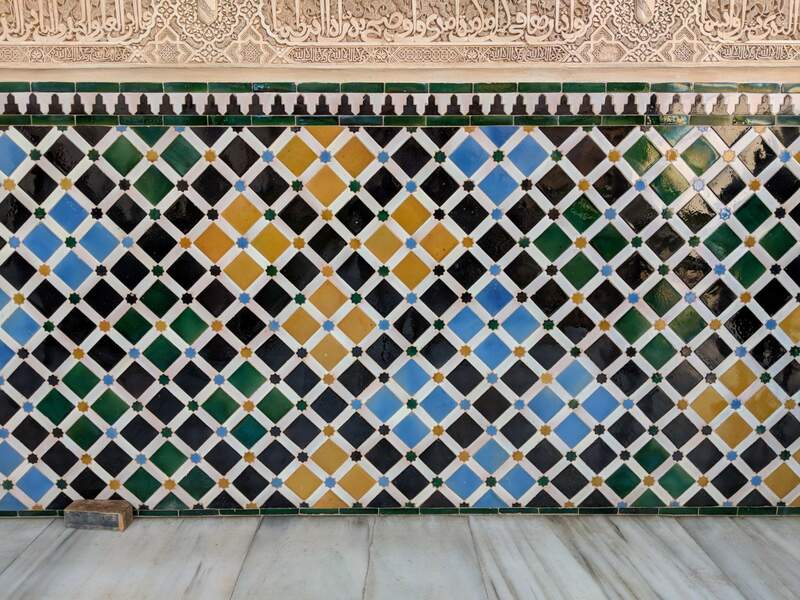 Tiles at Alhambra – I could stare at these all day and all night. I’m only showing one of WAY TOO MANY photos of tiles, there were so many different styles and patterns. I could probably write more than one whole post on the tiles. I spent, so much time staring at these trying to discern all the patterns. The nerd in me seriously loves the tiles. 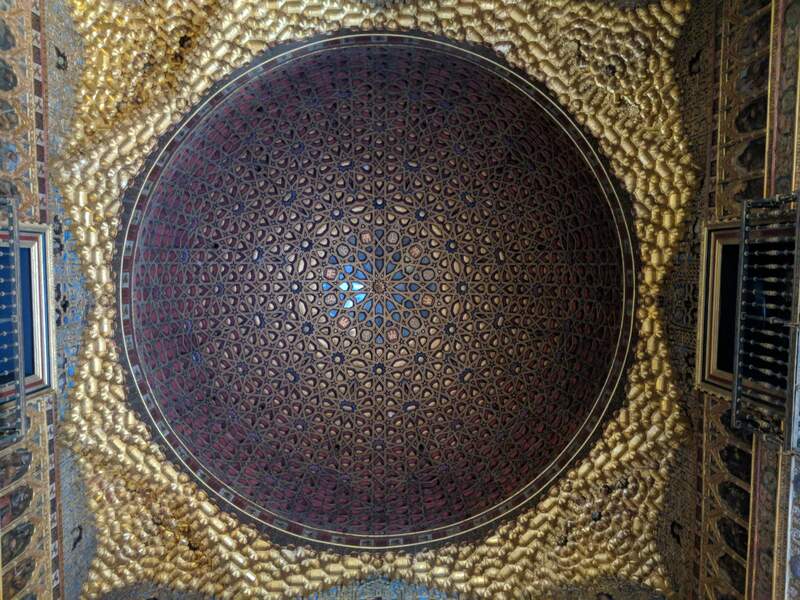 I want my future palace to be full of fancy tiles in fancy patterns. 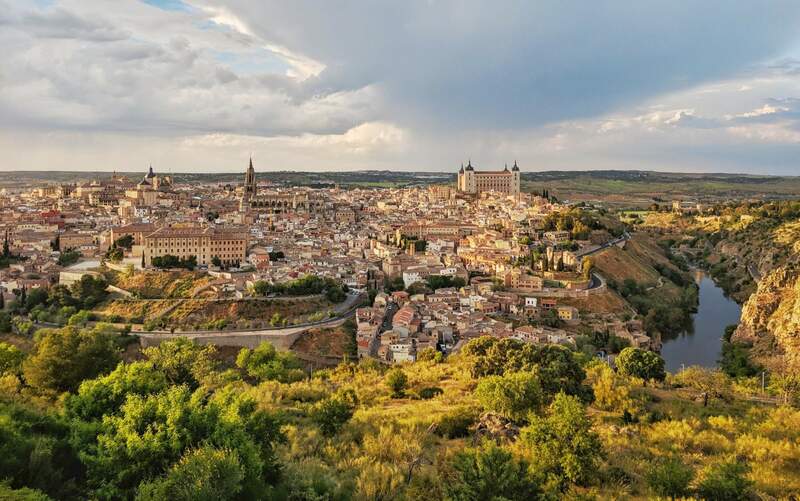 We did a quick stop in Toledo mostly for this view, and it was totally worth it, especially given we had good weather. We then spent a few days at Madrid staring at art museums and fancy palaces. Most of these places didn’t allow for photos, so no photos here. Madrid had a very different feel than Barcelona, it felt more like a real city where people lived. Both Seville and Madrid had really good restaurants (Barcelona level), but it was cheaper than what I remember Barcelona prices, and the wine was so cheap. My parents kept on joking that we should move to Spain for a few months so they can visit again. After dropping my parents off I dragged K to San Sebastian and Elciego. San Sebastian mostly for food. Food is so amazing in San Sebastian, although I had slight sticker shock after Madrid/Seville. Elciego was a stop because I really wanted to see this place, and I’m glad I did. 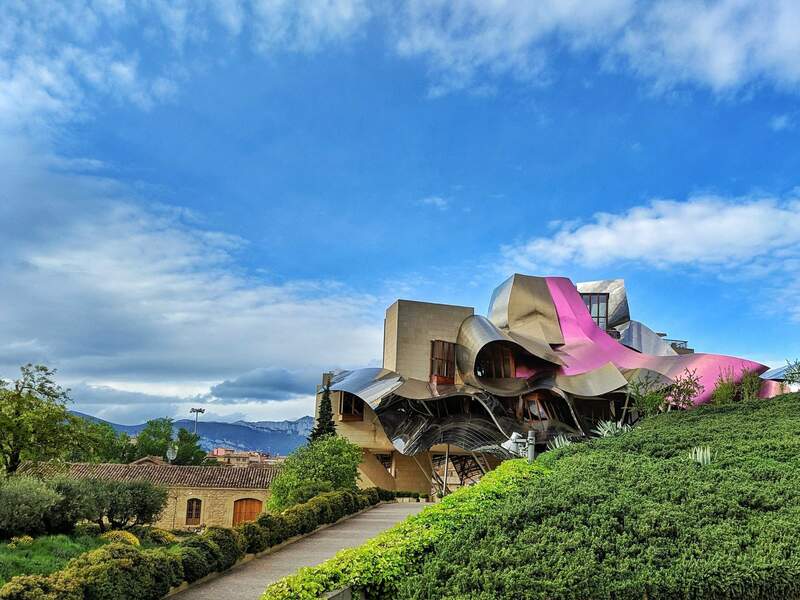 Gehry architecture is always fun, the building seemed to have a life of its own, the surfaces are always changing with the light. Every time we go to Spain I want to go again, this time is no exception. I’m even tempted by the suggestion of going for a few months and spending a few weeks at each place.